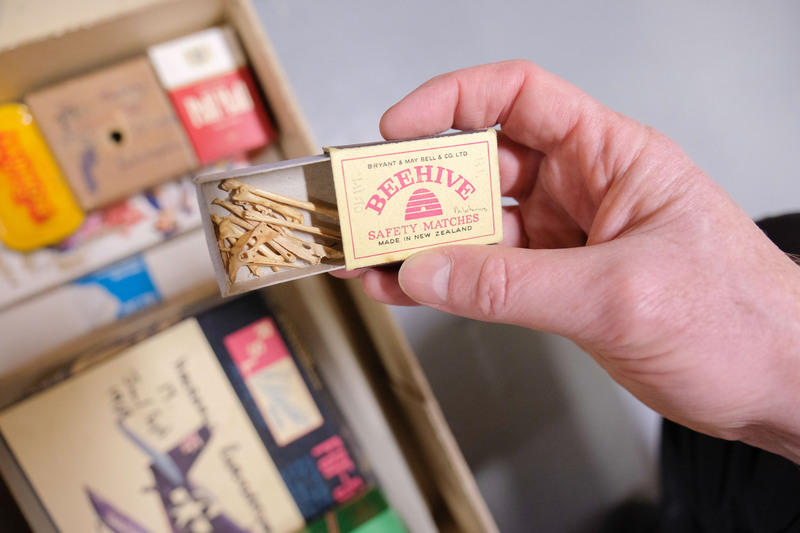 Storing collections in the right space and environment is incredibly important in museums – so would you be surprised to see natural history specimens stored in colourful vintage cigarette packets? 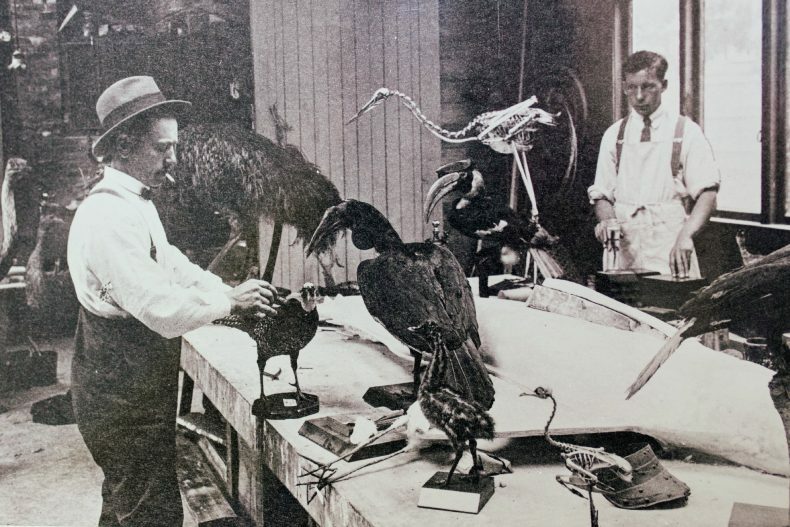 Curator Alan Tennyson and conservator Robert Clendon shed light on past practice. 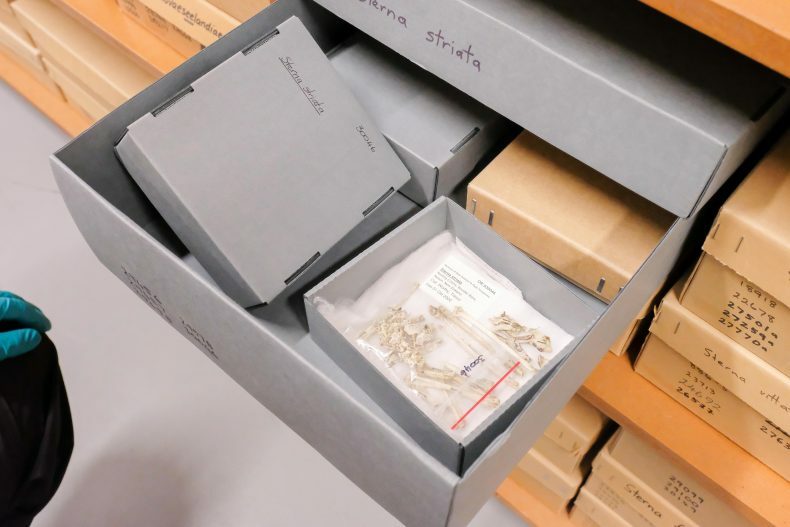 Modern museum storage involves rows and rows of uniform beige and grey boxes, ideally boxes are made from acid free cardboard. But this hasn’t always been the case. 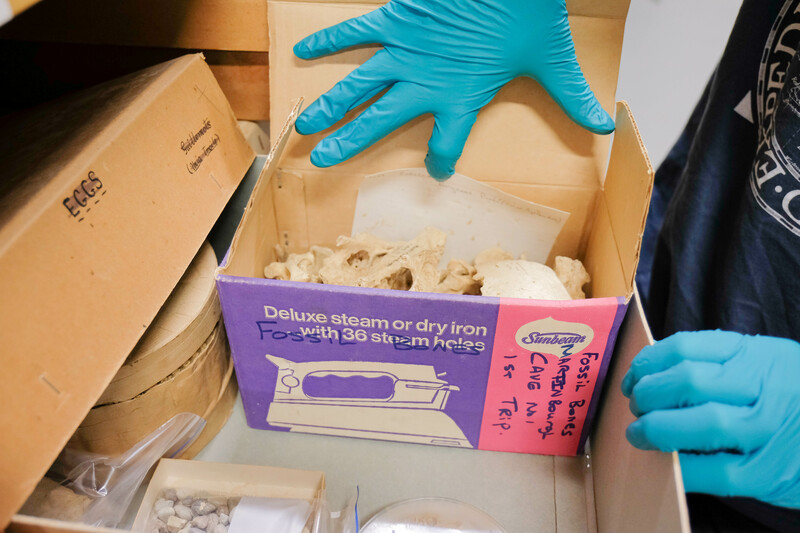 At Te Papa, inside a handful of these boxes lie the remnants of past museum storage practice. A selection of smaller, colourful boxes that once contained chocolate, model aeroplanes, steam irons, match sticks, and now hold fossilised bones. Curator Alan Tennyson explains this practice was “incredibly common”. The main collection we have still partly stored in its original form was collected by Steve Markham in the 1960s and 1970s. 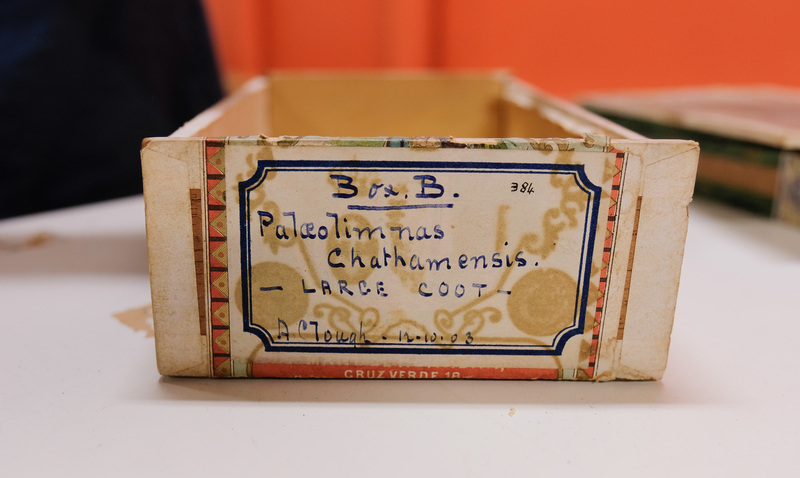 Most of his collection has been registered and re-housed but we still have some remnants of his original boxes. 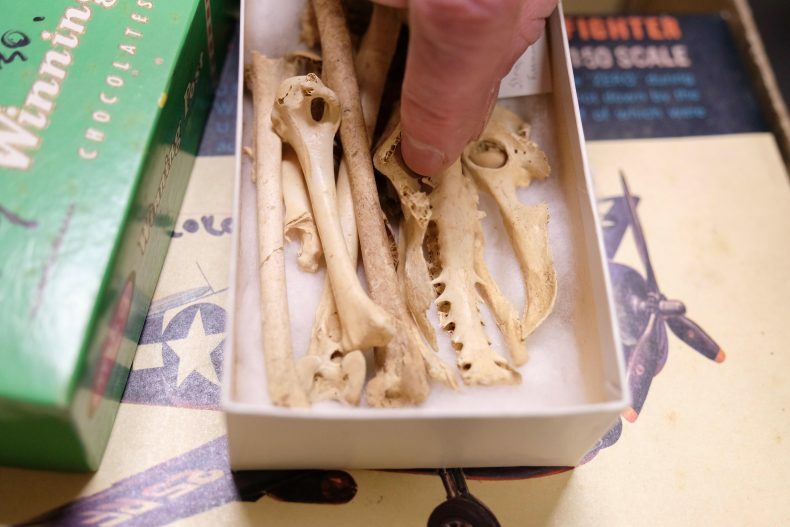 One of the oldest original collection boxes still kicking about is a 1936 Cuban cigar box, which contained the bones of the extinct Chatham Islands coot. The bones of this large waterbird are now in more appropriate storage. In the short term these type of boxes aren’t doing the fossils any harm, but aren’t ideal, says Alan. 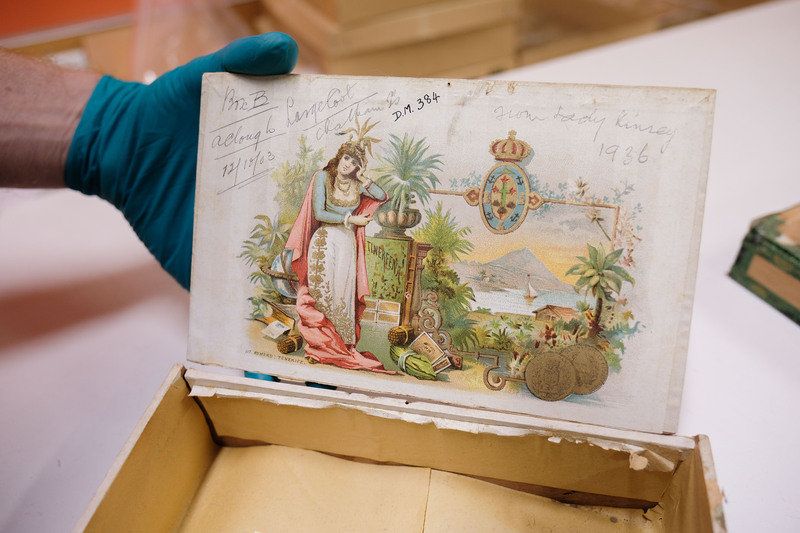 Conservator Robert Clendon adds “We prefer to use acid free cardboard for storage boxes as the acids found in many types of cardboard and paper can damage our collections. 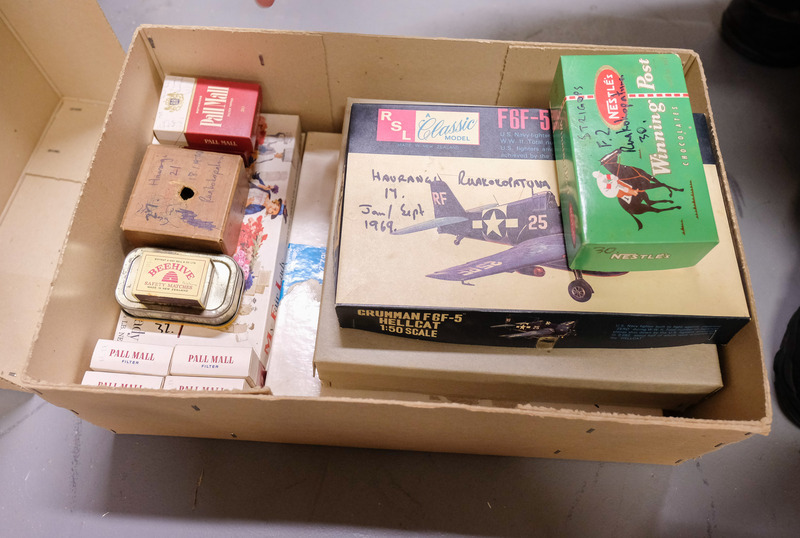 These boxes have almost become collection items in their own right as they tell an intimate story of how museum practice has changed in just a short time. 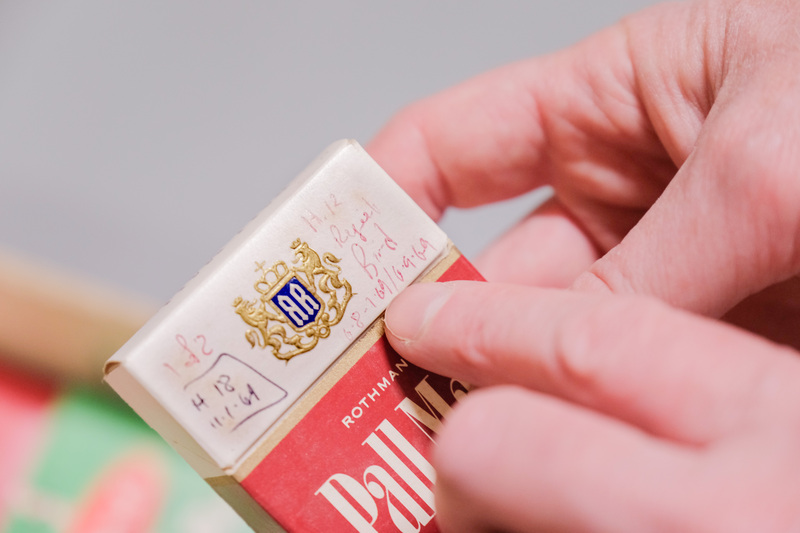 They also provide a fascinating insight into the daily life of collectors such as Mr Markham and the packaging of certain decades. “In some ways it’s a shame to see them go – but the safety and longevity of our taonga is our number one priority, so it’s out with the colourful and in with the grey.” says Alan. Thanks to Steve Markham for kindly donating his collections and inspiring this blog. I hope they are keeping the original packaging? As a Collections Manager we also get collections in boxes and tins. We separate them from the contents, catalogue them as a set and store both properly. The packaging is part of the provenance of the object. 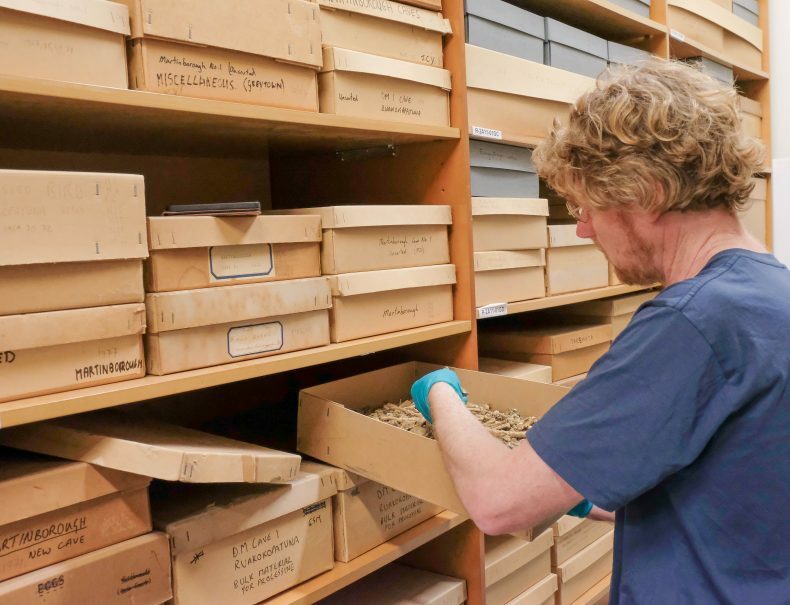 Maybe it is different for natural specimen collections? may have been old chocolate boxes. 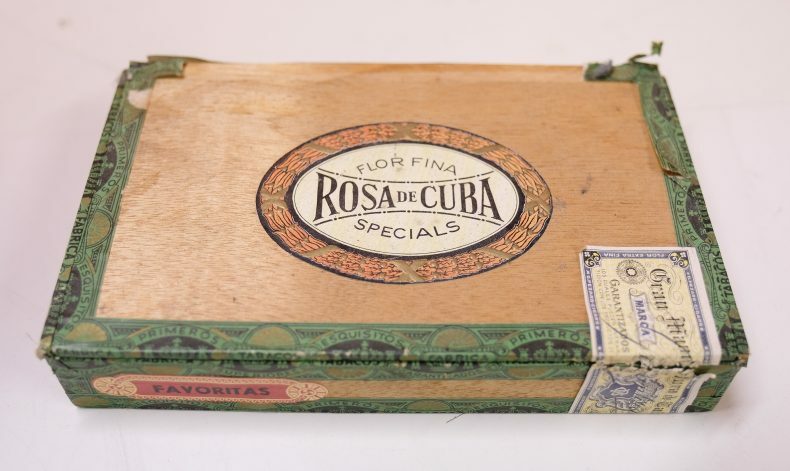 cigar boxes but think of the collection you must have and they are all history! I wonder how many young folk these days when they hear of a cottage being a chocolate box one do they know why called such, bet not, but its the way the boxes are decorated, like Cadbury in England used to photograph lovely cottages and put that on the box of chocolates, now they are jigsaws!! I remember when Sarah Adams was getting back into doing chocolates I sent her an old advert in a newspaper to copy for something, she was appreciated! not only boxes, but tins, I am a collector off tins, old tea tins. biscuit tins..oh my how they are decorated… worth a mint in some places.. bought an unusual tin the other day, more unusual, the lid was a cup when taken off the tin, and inside was another small tin marked tea and sugar… someone said it was a tin a Miner would take down the Mine and have it for a drink, so must have been hot water down there somehow? My brother and I used a certain type of matchbox tray that had no holes or lips. These were then placed within the convenient sized outer that Wrigleys chewing gum came in. We had a friendly dairy owner who would set these aside for us to collect when we were in town.